Carolyn Roche Designs creates Sterling Silver and naturally found Seaglass Jewelry and SunBurstBeads by CRD creates stering silver and recycled glass earrings and necklaces. 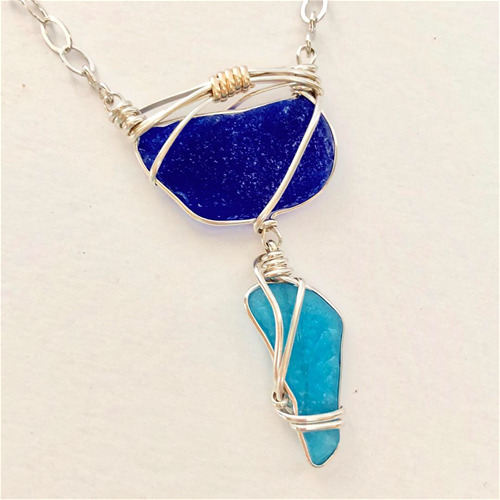 Rare and wonderful pieces of natural seaglass are uniquely crafted with Argentium Sterling Silver and 14Kgf wire to create this stunning necklace. 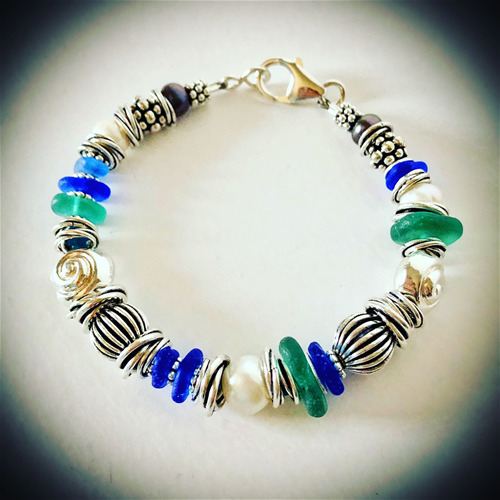 A free flowing collection of seaglass, pearls and fine silver beads combined to create this fabulous resort bracelet.